Love Beijing so much. Have been explored this awesome city and i must tell you all that i enjoyed myself so much at this one. Trying awesome of the stuff like this has always been just so much amazing to me and i am sure that trying more of like this would be so well. Wow, such a really nice views or also stuff about this city shared here by members. I would like to say that my dear one of the friend wants to go China for visiting its attractions because its beautiful places are famous for visiting in all over the world. so I hope that this link of thread will be informative for him. I will share with him tomorrow. Yeah dude til yet I will wait for your next post and ope so your next post will rushed with lots of attractions. So buddy don't forget to share with all of us. Anyway buddy have a good day. Yeah, I have explored this region many times in my life. In this region, I have explored large numbers of attractions. Which are my favorite. I must share with you those attractions names in my next post. Because now I am going for my some work. It's my pleasure buddy, anyway buddy I wants to know something about East coast. Have you ever visited this region in your life? If yes then say something about that. I will wait for your reply. I feel gald to know that all of the memebers nice sharing and appriciate for other member' sharing stuff. I like it and now I hope in future my informtaion by sgaring will be useful and able for thought for all tarvelling lovers. Thanks for liking my shared images Jackson! Well guys both of you have share such a nice images with all of us. no doubt that's looks fabulous and attractive guys. I wants to know your experience on this place in detail. Would any one like to share with all of us? Jackson! 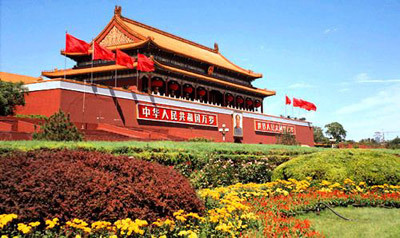 I like to share with you some images of this beautiful Tiananmen Square attraction of the China. I hope so you will like it here. I am going to share with you some images of Summer Palace.